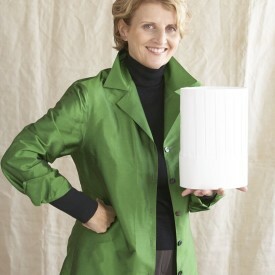 Dorothy Cann Hamilton, Founder & CEO of the International Culinary Center (founded as The French Culinary Institute) is also the President of Friends of the USA Pavilion at EXPO Milano 2015. A respected leader in the education and culinary worlds, Ms. Hamilton is past Chairman of the James Beard Foundation, was the IACP’s Entrepreneur of the Year in 2013 and in 2015 was awarded the Legion of Honor from the French government. She is a mentor for business accelerator Food-X and the creator and host of the PBS television series and weekly radio show Chef’s Story and is author of the book Love What You Do.